I would save its the influence of mother tounge. There are few kannada words like Yenappa (what), Yaarappa (who) and so on. If you notice, they all end with “aaa”. Similarly, if you goto hyderabad, you will find people ending so many words with “lu”. Go to kerala, its a different story all together. I observed that this is not common across all South Indians.. People from the west coast don’t usually use the spellings this way!!! You observe all malayali and mangalorean names.. You my our old buddies and they don’t spell their names as sivanandh or ragavendhra!!! 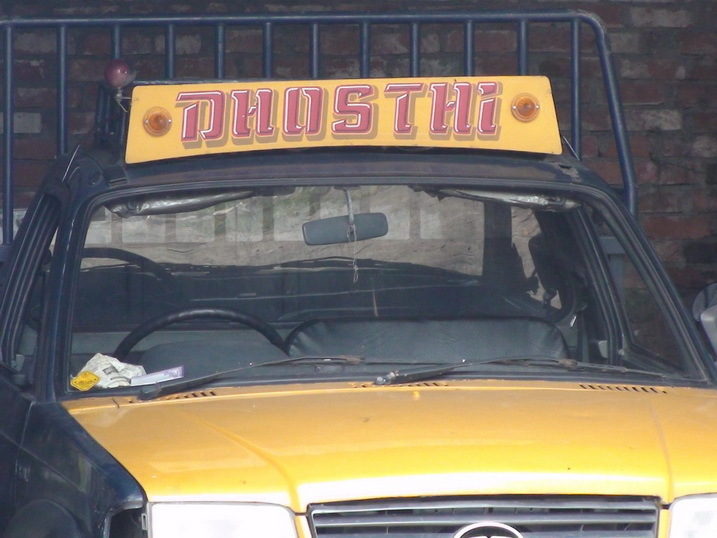 Otherwise, you can also pronounce dosti as DOS TEA… Isn’t it? I also observe that when some native English speakers pronounce TH (as in ‘the’, ‘those’, ‘their’), the TH sounds more like Z. And many European languages don’t even have the ‘d’ and ‘t’ pronounciations the way they are in English. These syllables are always pronounced the way they are in ‘dosti’!!! But my point in this post is – for example: when we know the pronounciation of “dosti” is “दोस्ती”, why do we make it “dhosthi” (“धोस्थी”) or “dosthi” (“दोस्थी”) – and completely change its original pronounciation? Using English to write Indian words is a difficult enough proposition. Trying to find logic in it is even more so. Why should there be any logic in how something is written? Why should NIRAV be written that way? why not NRV or NRAV or NIRV or NEERV or NEERAV?? Trying to mould a non-phonetic language to represent a phonetic language name itself is unhealthy. But, we’d rather live with this than learning to type in 22languages or even having to browse in 22 languages! Logically – Your sanskrit name is from the word NEERAVA (नीरव) pronounced in _samskruta_ with a Long Nee ending with a distinct ‘अ’. In Hindi, all samskruta words are read without the ‘ah’ at the end of it. So, Devanagari skript, while being phonetic can be confusing too. Yes I agree that there is a difference in the pronunciation in different parts of India. The vernacular influence is too strong. One my colleague in old office, had his name Jitender, we use to call him Jitendra. A northy lady used to Raghavendra, Raghavender. One more problem is that we use English as a common ground to represent all the words of different languages. English as such does not have many of the sounds that in Indian language. This adds to the existing mis-pronunciation. End result Dosti becomes Dosthi. Any how the problem is with *My* pronunciation and not all South Indians or wherever, infact Kannada has more alphabets than Hindi and has all ‘mahaprana’ , ‘dheergaprana’, etc… I just end up pronouncing “Bha” as “Ba” because of its easiness and me not paying attention to my ‘uccharane’ (pronunciation).Many do the same, i.e they just follow shortcuts. Good writing! Enjoyed reading this one + all previous blogs. Please continue with the good work and entertain+educate with good topics.My Best Wishes to you for all your future blogs! Hi Nirav, I enjoyed reading this post. I know that many of my classmates reflected his pronunciation of “College” as “Kolage” until they were corrected by a new English Teacher (after three years). dialects and phonetics used in the mother tounge are indirectly responsible for the pronunciations illustratedin the blog. My observations said that, if you put a chinese in to hindi, even since their childhood, their accent remains similar to their mother tounge intact with 75-80 % originality. द ध ड are different. I hope I have thrown some light on this matter.